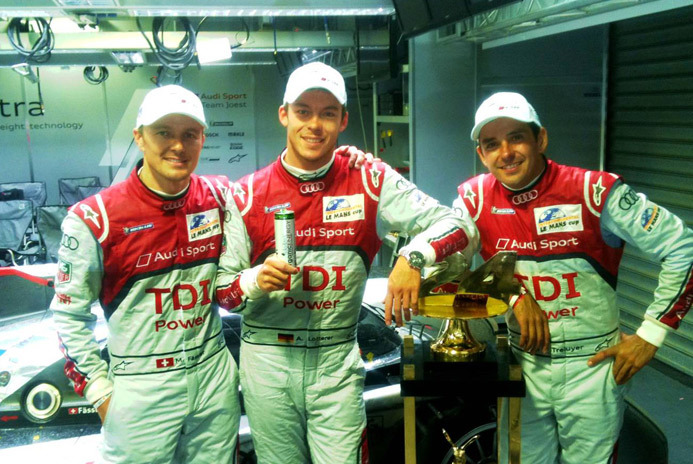 Congratulations to Audi Sport Team for winning Le Mans for the 10th time! The No.2 Audi started from pole position and won by only 13 seconds after 24 hours of racing. A true test of team and drivers mental focus and physical endurance over the legendary and gruelling 24hour race. The No2 Audi team was the only car supported by Scheckters Organic Energy drink containing Ragus Organic Fairtrade Raw Cane Sugar.